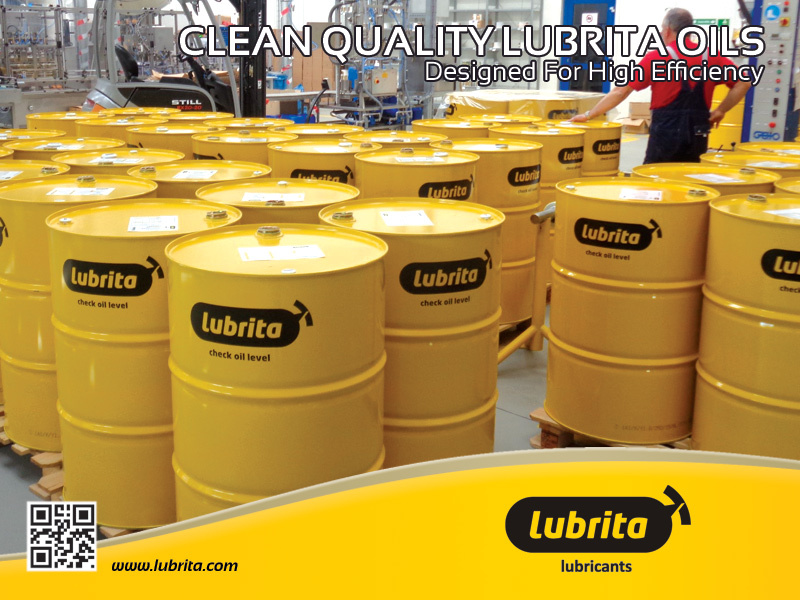 Lubrita lubricants in production follows cleanness everywhere. We use clean and virgin base oils as well working environment in factory and office's is clean and safe! stability, low evaporation, excellent low temperature fluidity and extremely low sulphur content. Lubrita use a unique Virgin Base oils and produce products with low NOACK and low CCS, especially developed for European SAE 5W-30 and SAE 5W-40 top tier Passenger Car Engine Oils (PCMO) formulations. New emission legislation is drivers for using better base oils. Latest catalytic converter technologies allow less impurity and therefore better motor lubricants are needed. Conventional mineral oil based lubricants do not full-fill the latest specifications and Lubrita oils are replacing them in high-performance lubricants range. Lubrita produce clean quality Lubricants for all kind of applications! It gives us a lot of advantages to produce TOP Quality Lubrita Lubricants and Supply them all over the World! Welcome to Lubrita.com International Lubrita Distributors network and World wide Oils & Lubricants online stores.